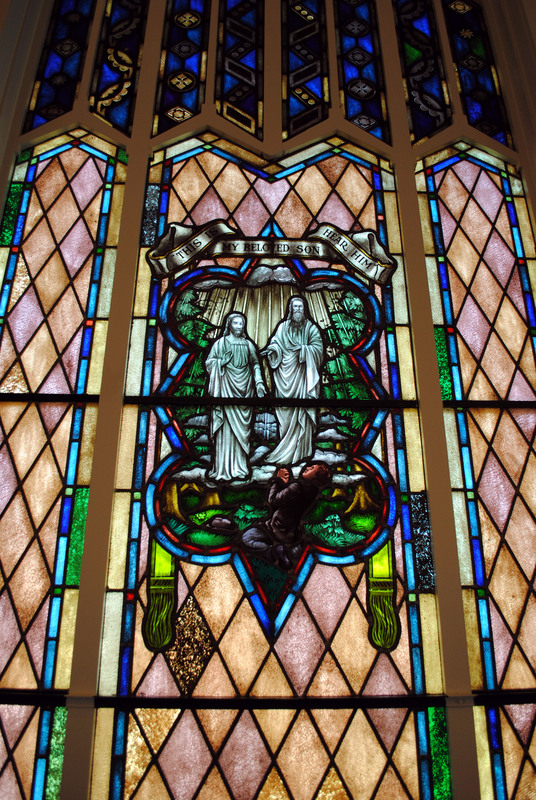 A beautiful window containing Alpha, Omega, a beehive, a bundle of wheat, and two crosses. 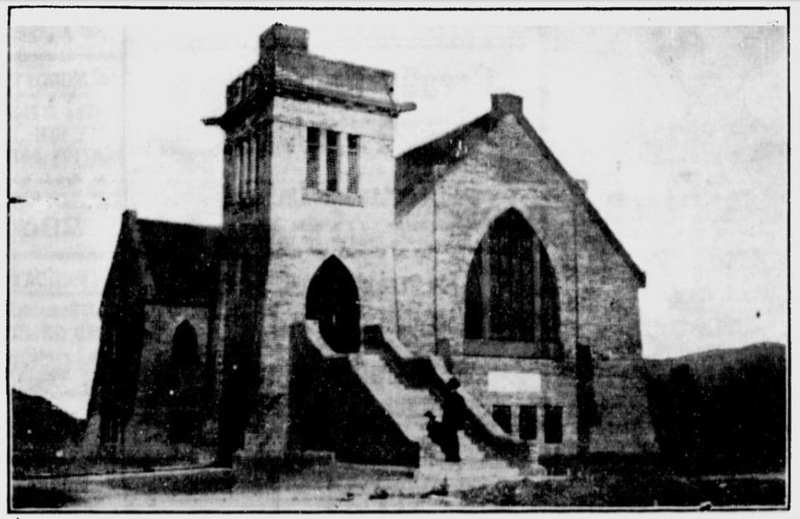 Construction began April 6, 1908 and was completed six months later, with services first held on October 11, 1908. 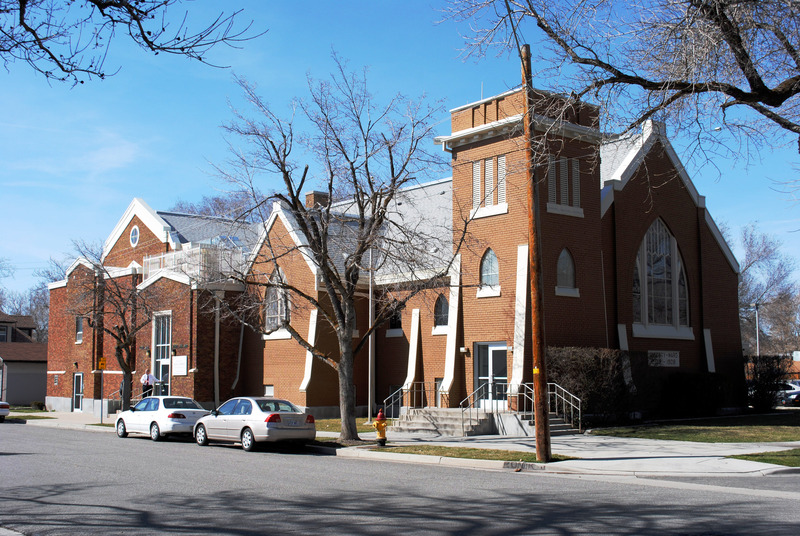 The plan is unusual for LDS chapels, being in the shape of a traditional Christian cruciform. 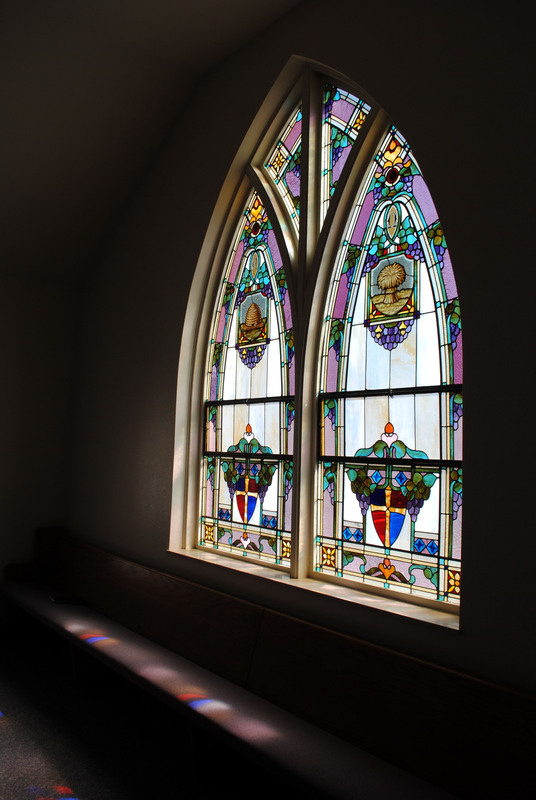 Additionally, the stained glass windows contain crosses, beehives and the first vision. The grand exterior stair leading to the tower entry has been completely changed, as can be seen from the original image below. The building was remodeled in 1917 by architects Cannon and Fetzer. And an Amusement Hall was added in 1924.